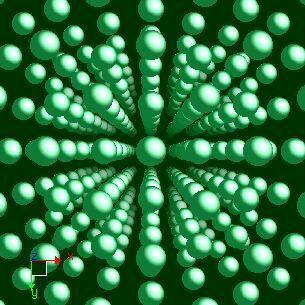 Thorium crystal structure image (ball and stick style). 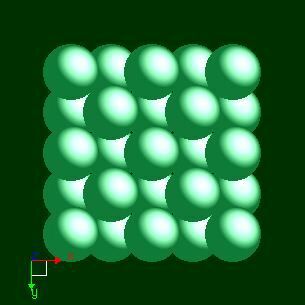 Thorium crystal structure image (space filling style). D. S. Evans, and G. V. Raynor, J. Nucl. Mater., 1959, 101, 281.